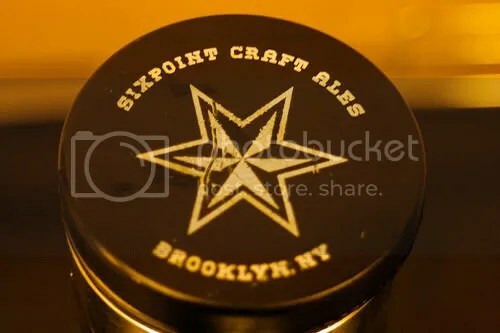 Last night we tapped a Keg of Sixpoint‘s Belgian Double IPA at 10.2% abv. This is apparently a really rare brew (only three reviews on beeradvocate.com). This is a hyrbid style of a strong Belgian Style Ale and Double IPA. This beer is hop forward as you would expect from a strong IPA, yet is extremely drinkable. This beer was flowing last night, and we don’t expect it to stick around for long. Get down to Burp Castle and have a taste…while you can. Bigfoot has once again been spotted, and this time it’s at Burp Castle. This once elusive beer has been around a little more readily in the past couple years, but this is our first Keg of the season. Bigfoot is a Barley-wine Style Ale. For those who are not familiar with the barley-wine style…it is not a wine, but a very complex and strong ale. The style originated in England, and was a big robust and often fairly sweet beer. While the American Barley-Wine is a relative of its English counter part…the American version is made with substantially more hops, and resembles a Double IPA except with a stonger malt backbone. 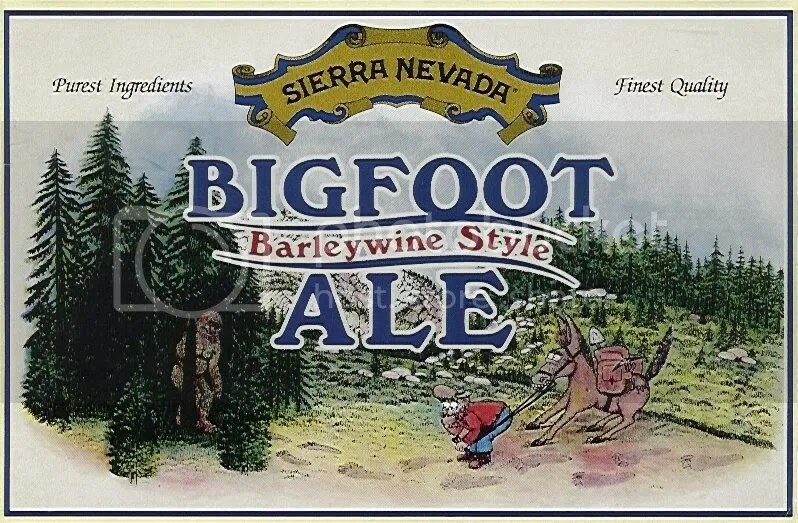 This year is the 25th anniversary of Sierra Nevada’s Bigfoot, and should be on tap for a while longer. Get on down to the Castle and try it while it’s available. Duvel Green Draft was on Tap. We in the brewery have enjoyed for decades the fresh, light taste of the ‘single-fermented’ Duvel, and we have traditionally cold-filtered and bottled a small portion of this beer for sale, but only at the brewery and a few selected locations in Belgium. The beer was labeled with a green label, as the nickname ‘kleine’ Duvel (or ‘Green’ Duvel) was used to describe the beer taken at a young stage of the brewing process of Duvel. Yes and No. Duvel and Duvel Green are both brewed in the same installations, using the same ingredients (water, two-row summer malts, Saaz and Styrian Golding Hops) but as explained Duvel undergoes a second fermentation in the bottle while Duvel Green is cold filtered and packaged in kegs. Duvel Green is certainly not a new beer, yet clear differences do exist between classic Duvel and Duvel Green in bottle or in keg. The ‘classic Duvel’ is a sophisticated, full-flavored and aromatic Belgian Golden Ale, with clean, refined, silky sweet dry taste, while a ‘Duvel Green’ on draft has a gentle hoppiness, soft carbonation, and a subtle, smooth dryness with hints of fruitiness. The beer is not refermented, but is does have young Duvel flavors emerging from the first fermentation. Duvel Green weighs in at 6.8% ABV (compared to 8.5% of the bottled Duvel). Stop in soon and try it for yourself. 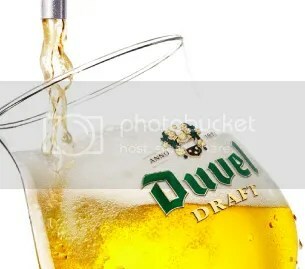 For more on Duvel Green from Beeradvocate.com and Mr. Moortgat click here. **Duvel Green kicked last night (11/12/08). We will let you know when a new keg goes on. I hope some of you Burp fans got to try it. Tis the season for Chocolate Stouts, and we have a keg of Acadia’s Coco Loco that we will be tapping either tonight or tomorrow! Coco Loco is an American Chocolate Imperial Stout brewed in Battle Creek, Michigan. This stout is 7% ABV! Stop in and have a glass.